HumanLifeMatters: IS THE SUN RISING OR SETTING FOR AMERICA? 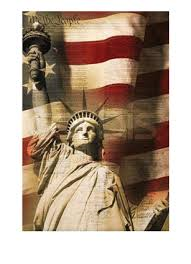 In 1776 the America colonists declared their independence from British rule. The next year they adopted the Articles of Confederation but it proved unsatisfactory because it left the central government too weak. 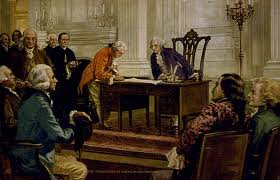 In 1787 a Constitutional Convention was assembled in Philadelphia to draw up the new nation's Constitution. "I have, often and often, in the course of the sessions, and in the vicissitudes of my hopes and fears as to its issue, looked at that behind the President, without being able to tell whether it was rising or setting; but now at length, I have the happiness to know, that it is a rising, and not a setting sun." This human entitlement to liberty was based upon a healthy understanding of the "Laws of Nature and Nature's God" to which the first paragraph of the Declaration of Independence referred. This is both the strength and weakness of the Declaration. Not everyone has or wants a healthy understanding of the Laws of Nature or Nature's God. Inalienable rights also carry inalienable responsibilities. All humanity has the right to life -- it is the first and highest human right. You can pursue happiness but never on the back or expense of another human being. This is a maxim of human liberty. To think otherwise is licence not liberty. Roe versus Wade drove a wedge into the foundations of America's noble vision. The bright sun of human liberty dimmed after January 22nd 1973. I believe legalized abortion is more of a threat to America than terrorism. Violence in the womb fuels violence in the streets because it denies Nature's God and abandons the ideal of the sanctity, dignity and equality of every human life. It reveals the true poverty of human hearts without God's influence. Rampant abortion only hardened the heart of America to also consider euthanasia and assisted suicide for the old and frail, the incurably ill and disabled, and infanticide of defective newborns. It is a short walk from the nursery to the nursing home. 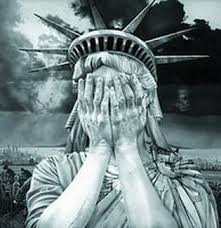 How could America have lost its way in less than 240 years? It is because 'Us' was replaced with 'Me', liberty was twisted into licence, and the pursuit of happiness was replaced by hedonism. I believe that God is calling America back to its Judeo-Christian roots. It's up to followers of Christ to shine His light across the land and draw the wayward to God who gave America its original blazing vision. 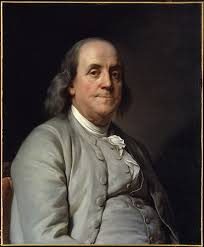 America must consider the same question as Benjamin Franklin did: Is the sun rising or setting for America? 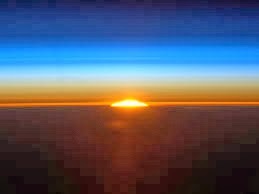 Perhaps with God's mercy and a national repentance there can be a new sunrise for the United States of America. I love America and pray God's blessing for Her. America was a profoundly Christian country up until a 1947 supreme court decision that birthed the doctrine "the separation of Church and state". From that time forward the Freedom of Religion clause in the constitution was twisted into freedom from religion and man set to systematically removing God from the public square. Everything else that is the mess of our current society stemmed from that, including Rowe vs Wade. Interesting comment. However, Puritanism was always Apolitical in nature.